Starkill is a melodic death metal band that hails from Chicago, Illinois that formed unofficially in 2008. In 2012, they signed to Century Media where they released two albums, Fires Of Life and Virus Of The Mind, and where they also settled on their band name as Starkill. 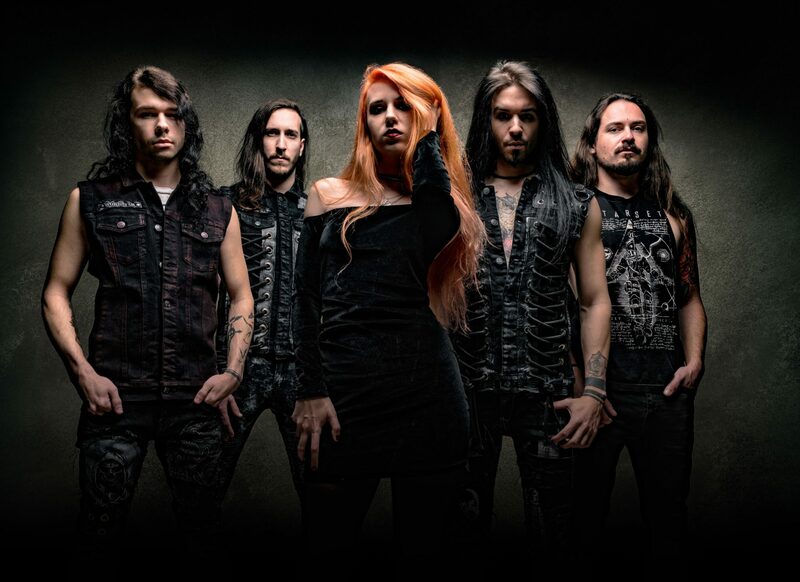 The group has gained quite the following over the years and also touring with bands such as Arch Enemy, Sepultura, Ne Obliviscaris, Dark Tranquility, and Epica. After their first two albums through Century Media, the band turned to Prosthetic Records to release their newest album, Shadow Sleep. This week Starkill returns with a new single, “Until We Fall.” The track represents the band’s growth and current musical direction. The band has commented that they will not be giving out any other information in regards to music just yet, but they do want to give their fans a taste of what has been happening since their last release. Also, they have decided to not go with Prosthetic Records and will be going independent in the future. They’ve recorded everything so far in their new private studio. “Until We Fall” is a breath of fresh air from the group, bringing about a more visceral sound accompanied with technical compositions. They’ve also brought in new vocalist, Sarah Lynn Collier, who practices in the style of almost operatic-esque vocals. This style could be compared to that of Epica and Sirenia, which in turn brings even more layers to the already complex sound of Starkill culminating into a mix of Dethklok, Arch Enemy, and the aforementioned Epica bound in one massive punch.. The single also comes with a video created by Davide Cilloni, and much like the music, brings about many different styles. While the art style is somewhat crude and maybe even simple, it combines into other styles as it progresses, helping define the music it was made for. It has somewhat of a comic style feel to it and also tells a story. It makes one wonder if the upcoming music may be concept based and if so this gets me even more excited for what’s to come. Check out the new single and let us know what you think about it. “Until We Fall” looks to open up a new epic chapter for the band and I can’t wait to see what else they put out.